It seemed like a big goal at the time. But God proved to be much bigger than our vision. We met the goal on the first day. Before noon on the second day, the total doubled. As the week progressed, we continued to be amazed at the greatness and goodness of our Lord. At the end of the five days, God used the prayers and support of our donors to bring in over $240,000—nearly five times the original goal! 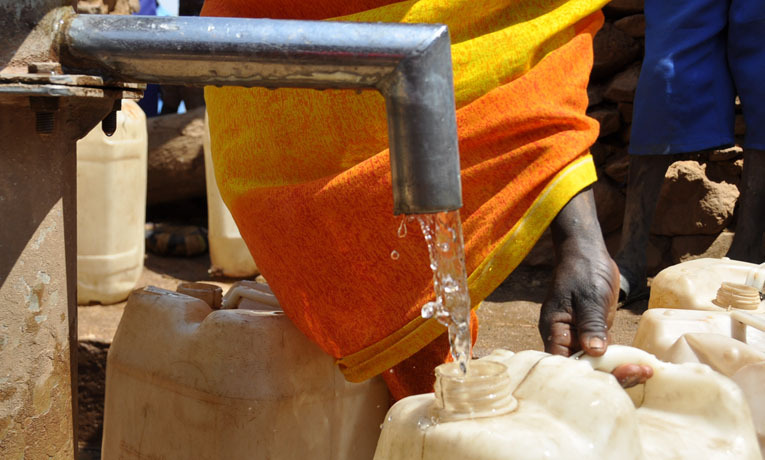 Not only can each new well transform a community in Northern Bahr el Ghazal and reach those in need with clean water, but it also provides a way to proclaim the promise of a new life in Jesus Christ. “5 Wells in 5 Days” is over, but the need remains great—not only in South Sudan, but wherever clean, safe water is scarce. You can help by giving to drill more wells in South Sudan, or to our water programs around the world. Please continue to be in prayer for our teams wherever we are working to provide this most basic necessity of life while proclaiming the hope found in Jesus Christ.